Doing your homework before every game can give you a competitive edge over the hitter and help you complete more plays successfully. 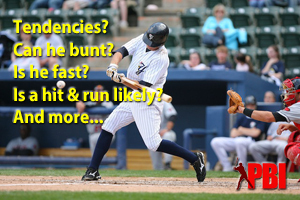 Pro tips for your baseball pre game preparation and developing a mental strategy. Putting a little mental preparation away in advance can really help once the game starts. It allows you to react and go through with your plans, because you already thought about the probabilities and percentages and are not getting tripped up on your thoughts. From knowing your pitchers game plan for that night, to who can run on the other team, and knowing which hitters have certain tendencies that can be used against them during the game. Know who is pitching for your team. Righty or lefty? Sinkerballer or power pitcher? Each pitcher has different movement on his pitches and this movement allows us to form a pregame plan to prepare for a team and individual players. This may give you insight into where some players may hit the baseball. The Basics. Know the pitches that your starting pitcher throws and what he likes to use for an out pitch. As a defender you should know if he throws a split finger fastball, or if he throws a curve ball and not a slider. 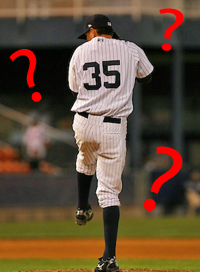 As an infielder it is tough to do your proper homework if you don’t even know what pitches your pitcher throws. Lefties. Most lefties have a little run (sink on the ball to the arm side) on their fastball, this can be a difficult pitch for a right hander to roll over in the 5-6 hole. He may be more inclined to hit a ball up the middle. Right-handed sinkerball pitchers live on letting the ball sink into right-handed hitters and away from lefties. They produce more ground balls than any other type of pitcher. Right- handed hitters have a tendency to roll over in the 5-6 hole (between shortstop and third base). Left-handed sinkerball pitchers tend to hit the sinker away up the middle or roll over the pitches that find more of the plate to the second baseman. If the same sinkerballer wants to throw a fastball away, look for the hitter to take it back up the middle. This is a tough pitch to completely roll over, and if the hitter doesn’t execute his plan by hitting it to right field a probable miss would be a ground ball up the middle. Who are the fast runners? Who are the good contact guys? These are your potential hit and run guys. Who are the left, right, and switch hitters. Spray Charts. If it’s available get a hold of spray charts, this chart shows every ball that a particular player hit for a season, series, etc. From this chart you can look for tendencies. Charts don’t lie, baseball is a game of percentages, play the percentages. In professional games, we review the charts for the opposing team every day. Ask your players or coaches about the other teams’ players they played with and against. Any bit of information can help formulate a plan in how to defend against them. Doing your pregame homework might seem like a lot of work. Don’t stress out about it. It will become easier with time as you become familiar with general game tendencies, and as you see the same players again and again. More importantly, small adjustments in the field can make an enormous difference in the number of plays you will get to. 4. Is the infield soft and dusty or hard and gritty ? These are but a handful of examples, which after some practice, a player can perform in a matter of minutes and could pay big dividends during the game.